WASHINGTON, DC, November 3, 2010 (ENS) – A woman convicted of issuing fraudulent asbestos-removal training certificates to hundreds of untrained workers in Massachusetts was captured by authorities in the Dominican Republic on Saturday, after more than seven months on the run. Dominican law enforcement officials arrested U.S. Environmental Protection Agency fugitive Albania Deleon, 41, who had disguised her appearance and assumed a false identity. “Albania Deleon put communities at risk by issuing fraudulent asbestos-removal training certificates to hundreds of untrained workers,” said Cynthia Giles, assistant administrator for the EPA’s Office of Enforcement and Compliance Assurance. “This is yet another example of great teamwork and dedication of the United States Attorney’s Office for the District of Massachusetts, U.S. Marshals Service and our own special agents who protect the American people from environmental crimes,” Giles said today. On November 20, 2008, Deleon was convicted in federal court in Boston on one count of conspiracy to make false statements, to encourage illegal aliens to reside in the United States and to hire illegal aliens; five counts of making false statements within the jurisdiction of the U.S. Environmental Protection Agency; 16 counts of procuring false payroll tax returns; and five counts of mail fraud. From 2001 to 2006, Deleon owned and operated Environmental Compliance Training, a certified asbestos training school located in Methuen, Massachusetts. The school offered training courses on a weekly basis at its offices, but evidence at trial proved that, with Deleon’s knowledge and approval, ECT’s employees issued certificates of course completion to hundreds of people who never took the course. Many of the certificate recipients were illegal aliens who wanted to skip the four-day course so that they would not forego pay, evidence showed. These individuals filed the certificates with the Massachusetts Division of Occupational Safety to be authorized to work in the asbestos removal industry. The school’s course records were subject to inspection and Deleon sought to cover up ECT’s practice of issuing certificates to untrained applicants by having the applicants sign final examination answer sheets that already had been completed and graded, which she maintained in ECT’s files the evidence showed. Most of the falsely certified individuals were employed by Methuen Staffing, Deleon’s temporary employment agency that specialized in asbestos demolition. She sent the employees to job sites throughout Massachusetts, including the Boston, Worcester and New Bedford-Fall River areas, as well as to New Hampshire, Maine and Connecticut. Deleon paid most of the employees under the table, and did not withhold taxes. She reported to the Internal Revenue Service and her workers compensation insurance carriers only those employees that actually had taxes withheld, which enabled her to save more than $1 million in tax and insurance payments. Deleon fled Massachusetts two days before she was scheduled to be sentenced on March 23, 2010. When she failed to appear at the sentencing hearing, U.S. District Judge Nathaniel Gorton issued a warrant for her arrest. Deleon became the first woman named to the U.S. EPA’s fugitive list. The U.S. Marshals Service undertook a nationwide search for her, and once it determined that she had fled the country, the U.S. State Department submitted a request to the Dominican government to arrest and extradite Deleon. Agents with the Direccion Nacional de Control de Drogas observed Deleon at a residence in Santa Domingo and pulled over her vehicle after she left the residence. 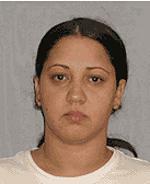 Upon arrest, Deleon claimed she was Elba Henriquez Peña and was carrying a false identity card with her picture and her name. After further questioning, she admitted that she was Albania Deleon and was wanted in the United States. Deleon was transported to DNCD headquarters for booking and processing, where she is being held pending an extradition hearing. When she is returned to the United States, Deleon will face up to five years imprisonment on each count, except for the mail fraud counts, which carry 20-year maximum sentences.